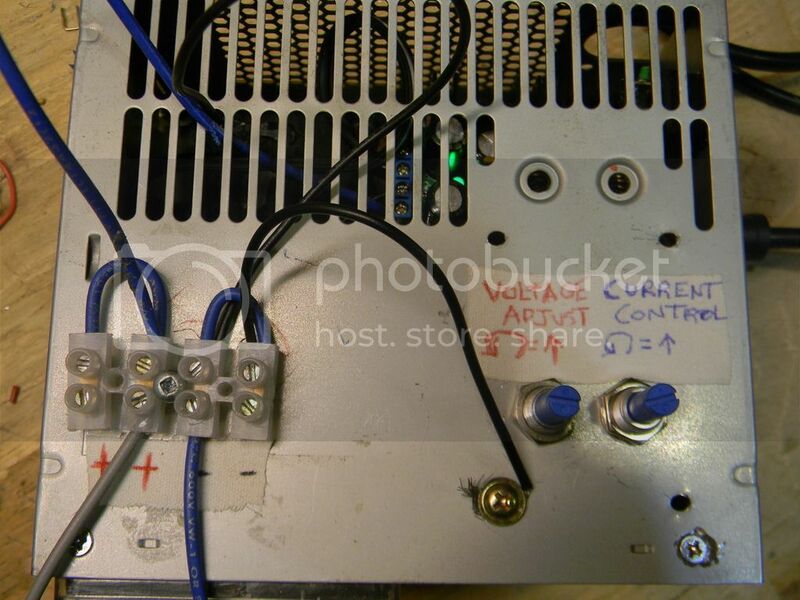 All it is is a laptop PSU 18V 2.5A with a buck-converter module mounted in the shell of a broken ATX-PSU. I've replaced the small screw adjust potentiometer and variable resistor with larger finger adjustable ones for current control and voltage adjustment. I've also added a 0-50VDC analog voltage indicator (just because its cool and serves as a bit of a check for when i'm running experiments). On the output of the module (which you can't see because its under the shell) there is a 25V 47000uF capacitor, I thought that that would get the ripple below the mV range but it didn't. So I have to open it up and install a common mode choke, hopefully that will make the DC very clean. Anyways, hope everyone is doing great. The sequence of 3 images above show the waveform of my PSU last night (squiggly), then the filter I made tonight (1uF//Common Mode Choke-unknown value *salvaged*//1000uF), and the waveform after the new filter was installed. Both scope shots are at 10mV/vertical division. 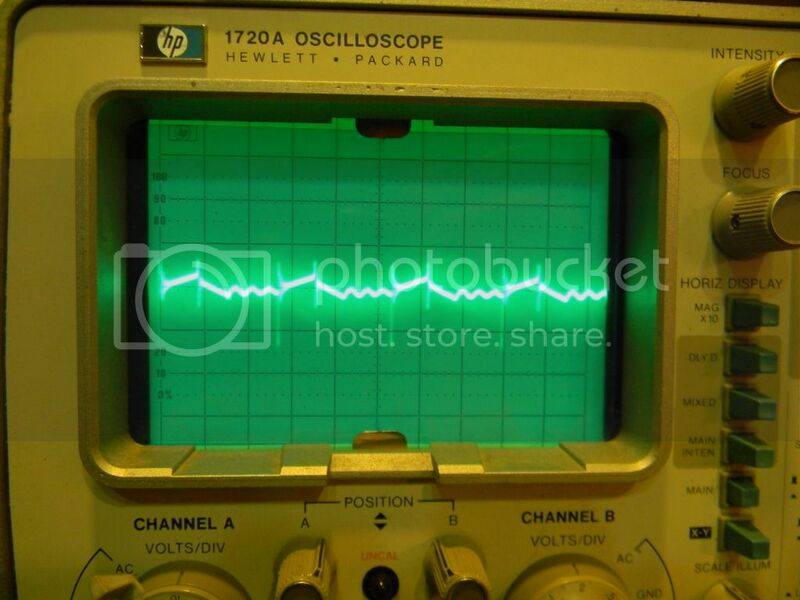 <--the lowest my voltage setting my old scope will read. The DC is cleaned up nice and will yield better calorimetric data. That is some damn good noise reduction for sure! Its been a slow go, but I blame going to college for an Electronics Engineering Technologist certification for some of the hold up (both in time and finances). Luckily I've learned to balance BJJ, work, & LENR research and experimentation. When I go back to college from May-Sept, I'll likely slow down somewhat again. But when I come out of the semester my knowledge on how to do this sort of research will be greatly heightened by virtue of my career choice. 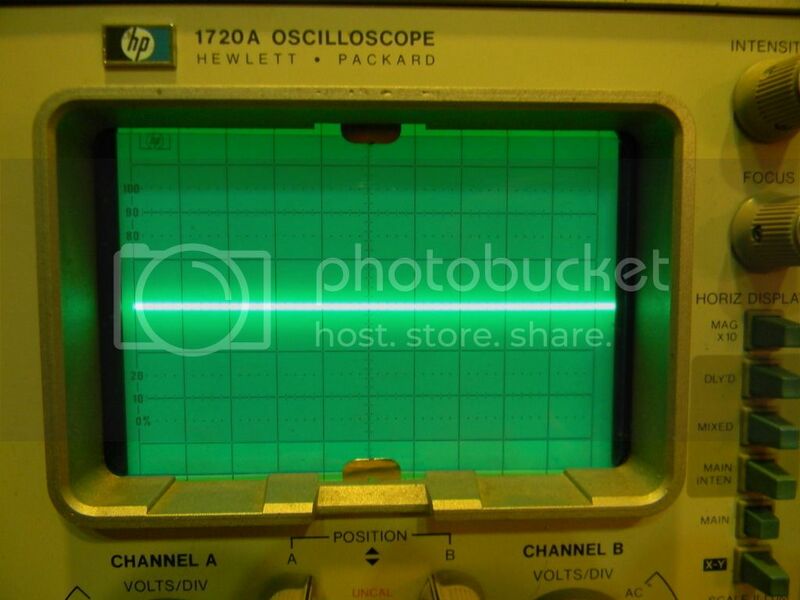 Some of the courses next semester are: RF circuits, Waveguides, Microcontrollers... getting into the good stuff! I'm in this for the long haul, and the experiments and data created will only get better. Its been just as slow of a go for both of us, but at least were staying on course. & the course is a good one. No better use of time than to try and unravel the mysteries of the Universe while trying to provide abundance for all. There is merit in this journey. "The ultimate dream in life is to do what you love and learn something from it." Jennifer Love Hewitt <--- I danced with her in real life! No joke! A video made by Daniel Gendron to explain integration programming for me and others. I was chatting with Mr Gendron on my G+ feed about 16-bit & 24-bit ADCs and Daniel offered to explain the idea of integration programming and how it tightens up the data with data-logging. I said I would love to hear an explanation and he made this video. I will be implementing these techniques in my calorimetric measurements. Daniel is an awesome guy. 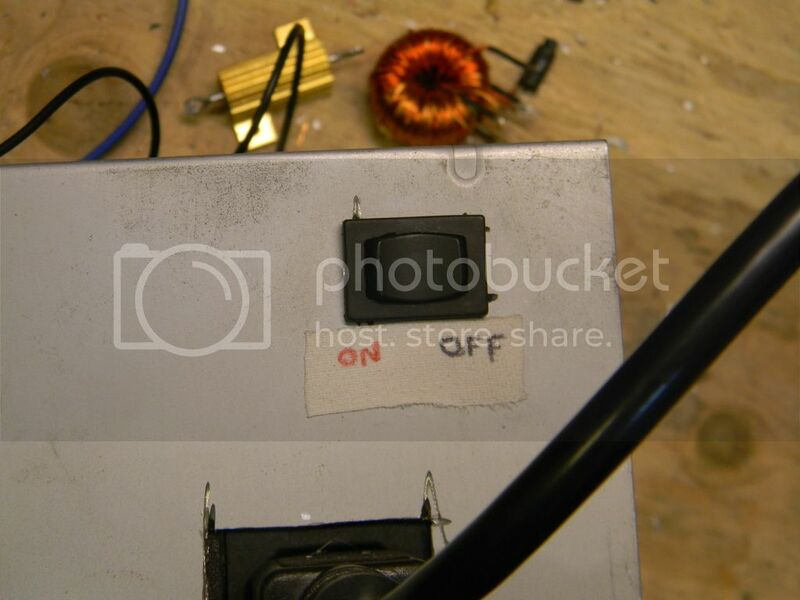 So I've added an ON/OFF switch to the 0-18V low noise DC PSU I've thrown together for my calorimeter. I'm only posting this to share a technique that I've been implementing (to get things done in a more timely fashion) and have been surprised by how well it works. I've made a rule for myself, no matter how tired I am, or if I'm sick, or if I'd rather just relax. At the end of the day, when I get home and all of my duties from daily life are done, I have to do a 30 minute minimum working on electronics/energy related stuff. 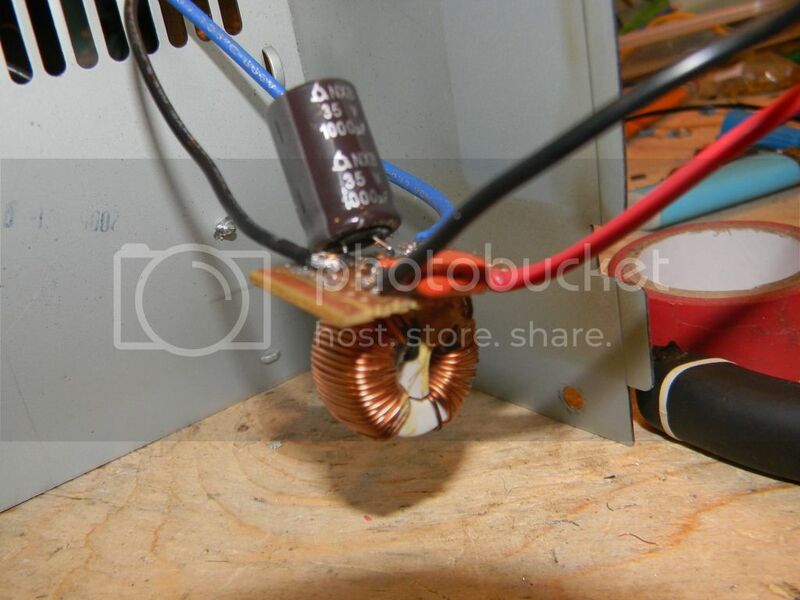 1) No matter what, 30 minutes has to be put in, either soldering, or ordering, or designing... The 30 minutes is a go no matter what. 2) Since the 30 minutes usually turns into an hour or even longer the rule is as follows --> Even if I spend 5 hours the night before, the next night 30 minutes still has to be put in... No matter what. Its a simple rule and I have only been doing it for a couple weeks now, but I can say undoubtedly it is effective in speeding progress on whatever project you may be working on. If you find it hard to get motivated sometimes, I suggest adding this disciplined rule into your world and you may just be surprised at how fast your various projects start getting done.